The ceremony at the Elysee palace in Paris exuded the full pomp of the French state. Under gilded ceilings dripping with chandeliers, executives of Airbus SE and the agency that buys planes for China’s airlines signed an order worth $35 billion as French President Emmanuel Macron and his Chinese counterpart, Xi Jinping, looked on. Boeing is mired in a painful investigation following two fatal crashes in just five months of its popular new 737 Max jet, which has since been grounded worldwide. The catastrophes, which claimed the lives of everyone on board the two planes, have tested the faith in the US Federal Aviation Administration, which certified the jet, and raised a chorus of criticism about Boeing’s slow response. Some airlines that had bought the single-aisle Boeing have said they will reconsider or even cancel their orders, creating an opening for Airbus to pick up business. On March 28, flag carrier Garuda Indonesia said it planned to call off deliveries of 49 Max 8s, though it said it would most likely buy other Boeing aircraft. Indonesia’s Lion Air, the owner of the plane involved in the first crash, has also hinted that it will scrap a deal to buy almost 200 Boeing 737 Maxs. So far, it’s been a slow year for Airbus. In January and February, the company booked just four new sales and had 103 cancellations, including a $2.8 billion dollar deal for A320 aircraft that had been destined for now-defunct Germania. Last year the company’s order backlog fell even as its output grew to its highest level ever. “It was a difficult year for our sales team,” Enders said at the company’s annual results conference in February. Against that backdrop, Airbus’s sales force could do with some decisive wins. The windfall in Paris was a nice get, but was the fruit of a campaign that had been in the works for more than a year. 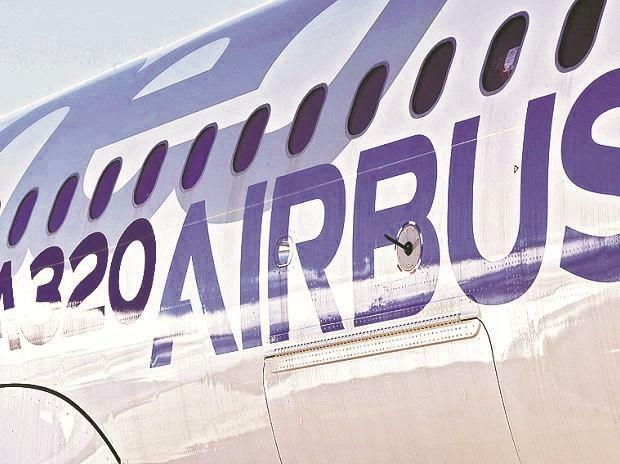 The task of bringing home additional deals has fallen to Christian Scherer, who took over as chief commercial officer about six months ago after a short-lived stint by Eric Schulz, a company outsider who struggled to adapt to the Airbus culture. During a recent tour of Asia, Scherer insisted the crashes won’t have any measurable effect on sales and that his company wouldn’t seek to benefit from them. “Boeing, just like we would do, if they have a solution, a fix to find, they will find it very diligently and very quickly,” Scherer said in a March 19 interview in Taipei. The tragedy with the Boeing jets will have “no bearing” on demand for his aircraft, he said. At the same time, it’s not easy for carriers to switch manufacturers. Many airlines have made substantial down payments on their orders, which they risk losing if they cancel. Their fleets are often planned around families of jets, allowing them greater flexibility in assigning pilots and maintenance staff. And there are only two manufacturers in the business, since a potential Chinese entrant has yet to prove itself.